A versatile shape gives our colonial-style Bunker Hill braids a modern spin. This collection of rugs is hand braided, sturdy and reversible. It was everything I hoped it would be and more!!!! 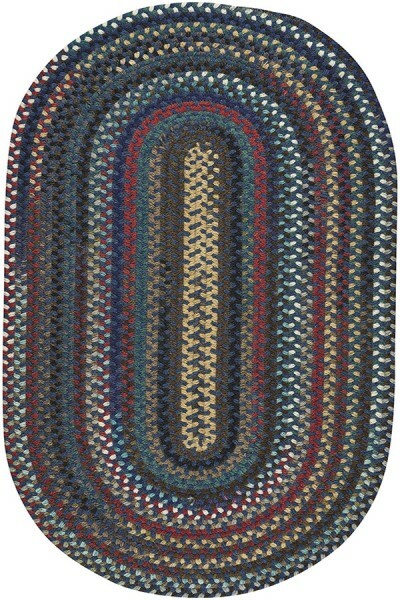 I loved this rug as a kitchen rug. The quality and colors were really nice and am very happy with purchase. Colors were as shown. It doesn't overly slip, but needed a pad under to secure with kids running around. I am pleased with this rug, but the colors are more subdued in the photo. 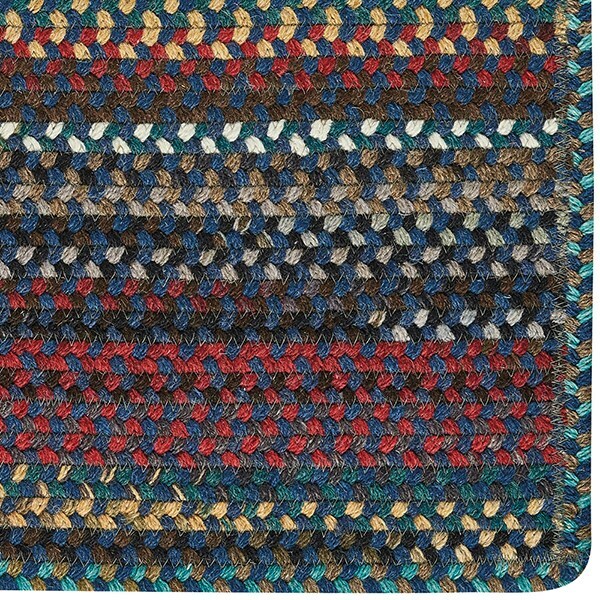 The colors in the actual rug are not the same muted colors that appear in the photo. I prefer the colors in the photo, rather than the colors in the actual rug. What appears to be a beige/gold color down the center, and other parts of the rug, are actually bright white. Also, there is a bright shade of turquoise throughout parts of the rug, which do not appear in the photo. The quality of the rug is excellent.